Mountain Aire—Our Top Priority is You! 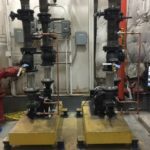 Why Mountain Aire Mechanical LLC? When it comes to creating a comfortable and healthy environment for your home or commercial space, it’s important to work with someone you can trust. Someone who treats you as top priority. Someone who will ensure a quality job—the first time around. Someone you can call at any time. That’s Mountain Aire Mechanical Heating & Cooling. From plumbing to heating we can fix or install any of your mechanical needs. Give us a call and ask about our prices and scheduling any time and find helpful and friendly information about what we can do for you! Tim Berdahl, one owner of Mountain Aire Mechanical, started as the low man on the totem pole as a service worker taking maintenance calls and working in the field for 19 years. He learned not only the hand on aspects of this type of work but later went to school to understand the business and ethical aspects of ownership and small business practices. Tim is best known for his budgeting and taking any idea and making it happen. 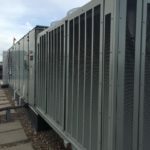 With his best skills combined he created Colorado’s best, Mountain Aire Mechanical, where business has continued for 10 years and where growth and improvement also continues. Ken Garcia, had also started as an installer and field worker with Tim when they both came together to create Mountain Aire Mechanical. 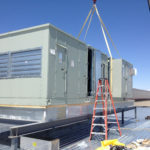 While a pro at HVAC Ken also holds a background in the military where he did helicopter maintenance this interesting mechanical skill has transferred into equipment management and all aspects of the HVAC industry at Mountain Aire Mechanical. With Ken managing equipment and overseeing the field and Tim managing the shop and estimating Mountain Aire is unstoppable! The staff at Mountain Aire Mechanical is committed to providing quality work and reasonable time completion. We take our job very seriously and provide only the best equipment to fit your needs and the job. Each staff member is specialized in their field of work whether it be installing a furnace or a toilet, from commercial to residential we have the men for the job. Looking to install, replace, repair or maintain your air conditioner or fan coil unit? Leave the job to us. With MountainAire Mechanical Heating & Cooling, you can count on prompt service from professional, drug-free technicians, and a home or commercial space that’s as clean after the job as it was before. When it’s cold outside, it’s critical to have a heating system you can depend on. And if you don’t, then you need reliable service—and fast! Our professionals can expertly repair or install boilers, furnaces, heat pumps and water heaters. For those buying or selling a home, we also perform heat certifications. The crew of MountainAire did a great job and I will call on them for all my maintenance needs going forward. I wanted to express my satisfaction with the professionalism and quality of service we received from your field techs. They were courteous, responsive, and delivered promptly and efficiently.